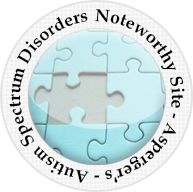 The DSM-5 is formalizing a shell game which has seen Asperger`s substituted for Autism in the mainstream media for many years. 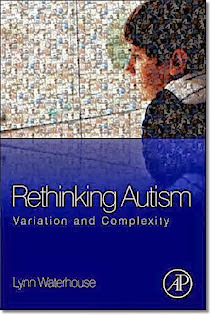 The most recent media example comes courtesy of the UK government`s National Health Service which, while referencing Asperger's as one form of autism, focuses on it as the most well known form of autism and focuses on the challenges facing persons with autism without discussing the very serious challenges facing those with actual Autistic Disorder. There is no mention of those with autism and intellectual disability or the fact that the vast majority of those with actual Autistic Disorder suffer from intellectual disability. Autism, in this UK NHS release to the public is the autism of those with average and above average intelligence. The UK NHS consciously excluded those with severe autistic disorder challenges from this public representation of the autism spectrum. No Intellectually Disabled allowed on the DSM-5 Autism Spectrum Disorder ... or on this UK NHS version of the autism spectrum. LONDON, Sep 26, 2011 (BUSINESS WIRE) -- There are more than half a million people affected by autism (autistic spectrum disorder) in the UK. Autism is a spectrum condition. This means that while all people with autism share certain difficulties, the condition affects them differently. Autism is a serious and lifelong developmental disability. On its own, autism is not a learning disability or a mental health problem. - Problems and difficulties with social interaction, such as a lack of understanding and awareness of other people's emotions and feelings. - Impaired language and communication skills, such as delayed language development and an inability to start conversations or take part in them properly. - Unusual patterns of thought and physical behaviour. This includes making repetitive physical movements, such as hand tapping or twisting. The best known form of autism is Asperger syndrome. People with Aspergers are often of average or above-average intelligence. They have fewer problems with speech than people with other types of autism, but may find it difficult to understand and process language. Some people are skilled in fields requiring logic, memory and creativity, such as maths, computer science and music. What causes autism is still being investigated. According to the National Autistic Society (NAS), there is strong evidence to suggest that autism can be caused by a variety of physical factors, all of which affect brain development There is also an evidence to suggest that genetic factors are responsible for some forms of autism. Although there is no cure for autism, there are a range of specialist education and behavioural programmes (often known as interventions) that have proved effective in improving the skills of children with ASD. 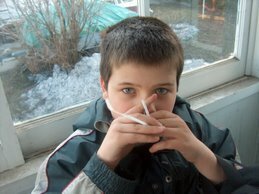 Awareness of autism is high, but awareness that Asperger syndrome is a form of autism is low. According to the survey commissioned by NAS 92% of surveyed people had heard of autism but only 48% had heard of Asperger syndrome. For more information on autism, please visit our Living with Autism section of the NHS Choices website. Severely affected by autistic disorder and profound developmental delays Conor faces many challenges with his autism every day of his life. I have chronicled them in the past and I will not detail them today, not today. Conor, Mom and Dad went to see the Lion King in 3D. None of us had seen it in many years and it was a treat to see the movie as modified for 3D. The biggest thrill for Mom and Dad though was seeing Conor totally absorbed in the movie, without flinching, without any noise, without any frustration for the better part of two hours. 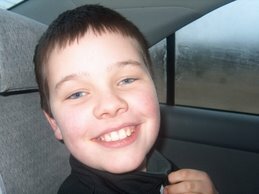 In the past two years Conor has been to see many movies after several years where we could not take him to a movie. Today we had no worries during our afternoon at the movies. It was a problem free, autism free, afternoon. A new "study" informs us that persons with Asperger's Disorder and High Functioning Autism are more likely to be atheists. How does that help us understand the biological basis for autism disorders? How does that help us understand the causes of autism disorders? How does that help us find treatments or cures for a serious neurological disorder? How does that help us understand the lives of those severely affected by autism disorders who live their lives dependent on the care of others? Apart from the subject matter the study also excluded low functioning persons with autistic disorder, those with intellectual disabilities and those living in institutional care. The chart above distinguishes between NT "neurotypical" and ASD "autism spectrum disorder" which were all Aspergers and High Functioning Autistic persons. Apparently it is OK to excluded the large numbers of persons with autistic disorder who are intellectually disabled and/or low functioning when reaching conclusions about persons with autism spectrum disorders. Apparently anything can constitute "autism research"? 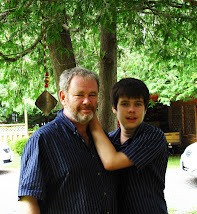 I am a Canadian father of two sons the younger of whom is severely autistic. I hope our good neighbors in the United States pass the Combating Autism Reauthorization Act (CARA) before the Combating Autism Act expires at the end of this month. Apparently the US House of Representatives may vote this week on whether to pass CARA. The Combating Autism Act has helped generate important autism research. A guest column by Judith Ursitti of Autism Speaks is featured in the Washington Times. She asks her fellow Americans to keep up efforts to have the US Congress, beset with many pressing issues, pass the CARA and provides helpful links to that end. 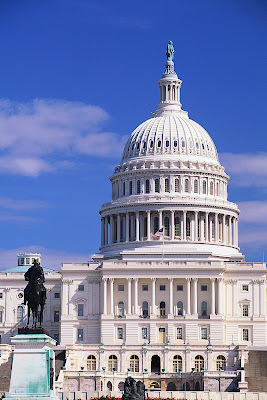 The Autism Society of North Carolina blog features much helpful information for American autism advocates and is the source of the beautiful US Capitol photo above. As a Canadian I can only stand on the outside and watch. As the father of a severely autistic son who knows that most of the leading research that has helped our understanding of autism and how to deal with the challenges it presents for my son has originated in the United States I am hoping that, once again, the US leads the way in combating autism disorders and passes CARA. 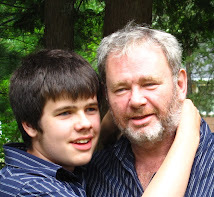 This week this Canadian father of a son severely affected by his Autistic Disorder is, once again, waving the American flag and hoping for passage of CARA. Autism and the MMR Vaccine:Was Wakefield Confirmed by Wake Forest University School of Medicine Study? UPDATE: The question in my comment title was answered, to some extent, by information passed to me that this study was reported in 2007. I have no idea why it shows up on the Daily Mail online with today's date at the top of the page and with no internal story dates to indicate it is not current. It also shows up in Google News. "Last night the team's leader, Dr Stephen Walker, said: 'Of the handful of results we have in so far, all are vaccine strain and none are wild measles. 'They were developing normally until they regressed. They now suffer autism and bowel disease. "'The Department of Health and some of the media wanted to dismiss our research as insignificant. The excuse was that no one else had the same findings as us. What they didn't say is that no one else had looked." This study will be subjected to very close scrutiny. Not just because it might implicate vaccines in some instances of autism, and should be examined closely as part of the scientific method, but also because a war has been waged on Dr. Andrew Wakefield. Those who have waged that war have much to lose if the information reported by the Daily Mail is confirmed. Their own reputations are now on the line. They can not, and will not, accept any study or information which calls into question their efforts to discredit Wakefield and his study. Parents are repeatedly told that these neuro behavioral and neuro academic dysfunctions can get better but they will never disappear. Not surprising considering that the methods that doctors, psychologists and behavioral specialists use to diagnose and treat these conditions have not changed in over 50 years. “I can tell you that they CAN disappear. They do disappear. And I have fully documented proof that more than 1,000 children to prove it. It is called the Brain Balance Program, a revolutionary, non-medical approach that effectively corrects the hemispheric imbalance between the right and left sides of the brain,” say Schneider with unbridled enthusiasm." It seems almost surrealistic, with all the intense debates about autism treatments, from the solidly evidence based like ABA to the ridiculously absurd like swimming with dolphins, to see a promotion for a "revolutionary" autism treatment program marketed with "unbridled enthusiasm". It almost seems like the owners of this proprietary treatment want someone to heap scorn and ridicule on their claims. On autism treatments I am very small "c" conservative. I wait for credible authorities like the US Surgeon General and the American Academy of Pediatrics to review the research literature and offer guidance on what constitutes evidence based effective autism treatments. I am NOT telling other parents what to do with their financial resources or their child's precious development time. I am simply saying I want to see reviews by credible authorities before I gamble my son's development, and possibly his well being, on "revolutionary" treatments. The unbridled enthusiasm of the co-owner of a proprietary treatment doesn't do it for this autism parent.
" Huffington achieved a miracle for web publishing in 2005, by getting high-profile contributors to write for nothing, through a mixture of charm and brand association. One can imagine now, with the money for their labours residing with AOL, that bargain will abruptly come to an end. Part of Huffington Post's success was its vibrance and its position outside the establishment. It has now not only joined an establishment, but joined one where most people feel about as close to the brand as they do to Walmart. A rather troubling aspect of the whole episode has been the baffling message, repeated by Huffington in an editorial on the site today, that this merger is "1 + 1 = 11". One hopes that this does not mean, for the sake of the HuffPo staff and the AOL shareholders, that the deal is quite literally nonsense." The Huffington Post has certainly changed with respect to its Autism Big News Page. One of the most obvious changes is the assertion of content control by the elimination of the autism blogs directory at the bottom of the page. Even this humble autism blog could be found in that directory on occasion. There was no apparent attempt to control the blogs that were featured in that directory with a variety of blog site perspectives shown on a perpetually rotating basis. Now, unlike some other Big News Pages at the HP the rotating autism blogs directory is gone. At the same time the content appears to have changed. The days when a David Kirby and others could ask questions about autism and vaccine safety appear to have disappeared. Featured prominently near the top of the page is the recent IOM rehash of studies ... which has purportedly determined for all time that there is not, has never been, and can never be, forever and ever Amen, any remotely possible association between autism and vaccines, vaccine schedules, vaccine ingredients, vulnerable population subgroups or vaccine ingredients including those those vaccines containing ingredients which cross the placenta and which are given to pregnant women. Vaccine autism discussion is now officially dead at the Huff. To its credit the Huff Autism Big News page still contains some articles about increasing autism rates but look for that to change as the AOL-HP managers ultimately realize that real increases in autism, by necessary implication, involve possible environmental factors. Such factors could include anything in the air, water, or food supply that we consume. They could include toys and jewelry. They could even include ingredients of prescription drugs and ... things injected into pregnant women and young children. When the realization that commercial interests could be implicated sinks in look for the autism prevalence studies to disappear or morph back into the "its gotta be genetic" mandate that ruled autism research funding over the past decades. 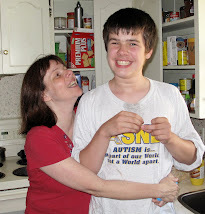 Look too for more "community" blogs with feel good stories about autism. Don't look for stories that describe the harsh realities of severe autistic disorder or the lives of so many persons with actual autistic disorders spent dependent on the care of others. 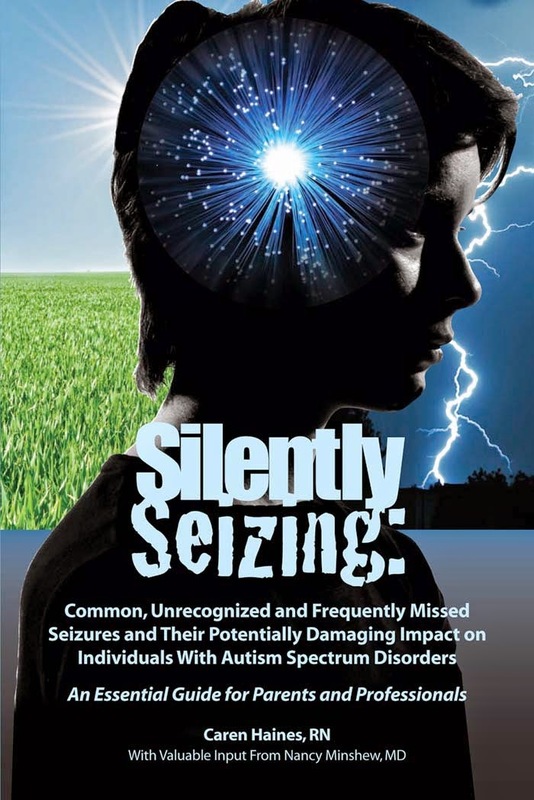 Look for another generation of stories about Temple Grandin and the new wave of DSM5 autistics like the John Elder Robisons, Ari Ne'emans, Alex Planks and other very high functioning persons featured by Autism Speaks and the mainstream media. 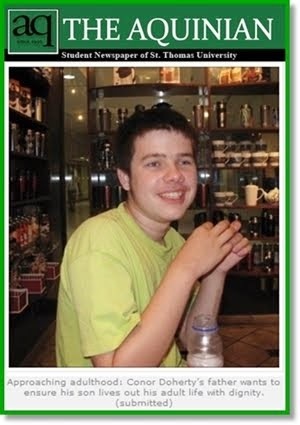 Don't look for autism reality at the Huffington Post Autism Big News page any more. Look for autism nonsense, autism feel good fluff, just like most large media sites. The Huffington Post Autism Big News Page ain't what it used to be. Wake Up New Brunswick Parents of Autistic Children! Our Never Ending Autism Residential Care & Treatment Disaster Will Not Change Unless We Change It! New Brunswick parents of young autistic children enjoying the benefits of early autism intervention in our province should not be complacent. The benefits their children now receive will not always continue as their children grow older. Many will not receive educational help from assistants and teachers with quality autism specific training. Those severely affected by autism will find a total lack of residential care and treatment options as they become youths and young adults. The most severely affected will live out their days, if they are lucky, in the psychiatric hospital in northwestern New Brunswick. 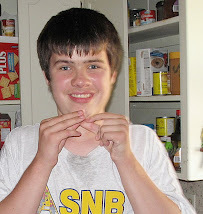 My son Conor is severely affected by his Autistic Disorder and profound developmental delays. 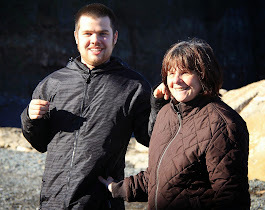 Fortunately for him his development has been assisted by the provision of UNB-CEL Autism trained education assistants and resource teachers. 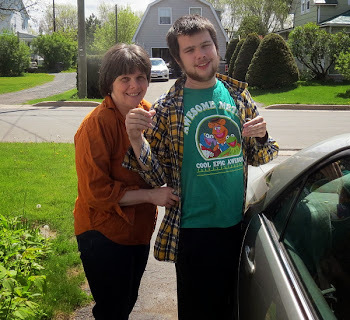 Unfortunately for him he is growing older and bigger and he lives in New Brunswick which has simply refused to take an intelligent, informed and honest approach to addressing the residential care and treatment needs of autistic youth and adults. Conor is now approaching 16 and is a very solid 6 feet tall. Like many youth with autism the changes of life that accompany adolescence and adult hood have had an impact on his development. Sleep is difficult for him at times and he suffers from some seizure activity. What this means, as he grows older, and his parents grow grayer, softer and weaker is that ultimately he will need residential care and treatment on a permanent basis. 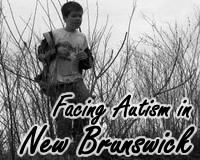 Unfortunately New Brunswick has chosen to ignore the real challenges of youths and adults severely affected by autism. A failed and non evidence based community inclusion philosophy has prevented New Brunswick from filling the gap between group homes with inadequate security and no autism expertise and the psychiatric hospital in Campbellton. The community inclusion dinosaurs, those in the NB Ombudsman's office and the NB Human Rights Commission, those that advise and direct the current government on inclusion issues, those that fought for the closing of a school for developmentally challenged children decades ago, raise the specter of that school and tell parents concerned about modern realities that we should be thankful for what we have. They solved their specific problems problem decades ago when men walked on the moon and have entrenched a simplistic faith in community inclusion cliches as solutions to all developmental challenges. Orders of Canada and Orders of New Brunswick ribbons adorn their chests and no further progress is permitted. No serious effort to provide a modernized residential care and treatment facility for youth and adults severely affected by autism and related developmental disorders has been made since an autistic 13 year old was sent to the grounds of a New Brunswick youth "correctional" facility six years ago. PR spokespersons for whatever the department of social developmental is called today insist that the issue is being examined as they have for the past several years. But nothing is done. Meanwhile another old horror story, the Centracare building in Saint John, remains available ... unfortunately. This building essentially housed a psychiatric care facility where persons with various mental health disorders lived without any serious treatment options beyond the usual pharmaceuticals. 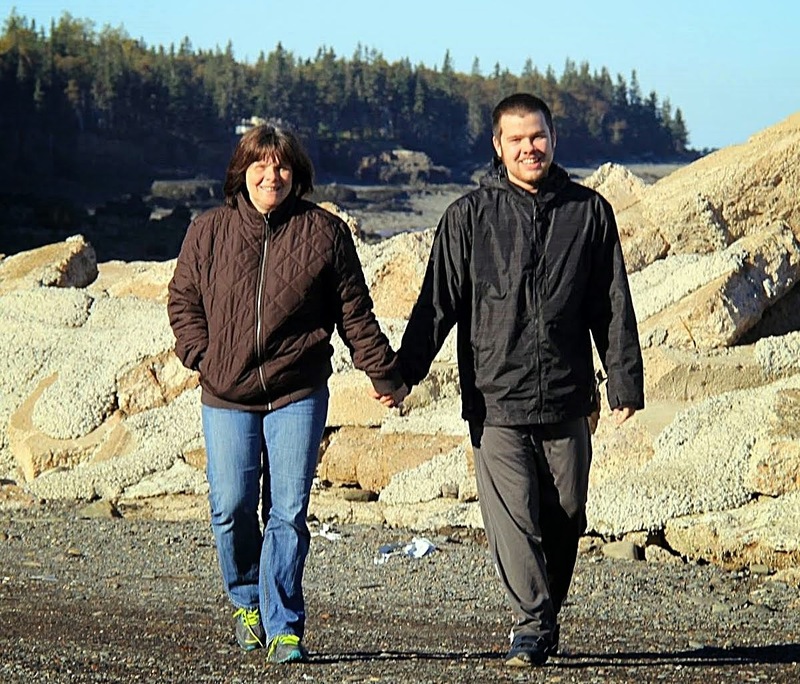 It's Saint John location ensured that the behavioral interventions being developed at UNB-CEL autism training in Fredericton would not be made available to any autistic residents in the facility. Saint John is, and has been, the bastion of opposition to any modernized autism interventions in New Brunswick. The leaders of the so called community autism approach in Saint John resisted the development of NB's successful early autism intervention system. They fought against provision of autism trained education assistants and individualized learning environments for autistic students for whom the classroom is not the appropriate learning environment. One of their most prominent leaders even went on CBC radio and applauded a decision to close the Stan Cassidy autism team that provided tertiary care services to autistic children with serious challenges including very serious self injurious behaviors. Fortunately parents in other parts of New Brunswick voiced their opposition and, after a serious review, the decision to close the Stan Cassidy autism team was reversed by then Health Minister Brad Green who is now a justice of the New Brunswick Court of Appeal. Despite some success with early intervention in New Brunswick, and to a much lesser extent in education, NB has still done nothing, six years after a youth with autism was sent to a NB jail facility, to provide a centrally located, modernized autistic residential care and treatment facility for autistic youths and adults who need permanent care and treatment. Six years after the Miramichi jail incident no progress has been made, no serious planning has even begun. The dinosaurs who opposed any serious attempts to address the need for modern adult autism residential care and treatment still rule with their rigid philosophy. The same contrived "community consultations" are taking place with no outcome of value to address the adult autism care challenges. Parents of those severely affected by autism in this province must wake up. We must act again and act loudly if we want changes to be made, if we want a place for our children to live in safety and dignity when we are old or deceased. The inclusion cliches will not help our adult children. They need reality based solutions. I found this presentation on the use of EEG technology in assessing autism and other learning disorders to be very thought provoking. It is possible such technology will offer more accurate diagnosis of disorders and more specific treatments. As the father of a 15 year old son with severe autism deficits AND "profound developmental delays" I have found the insistence in some quarters of the alleged world autism community that there is no such thing as low functioning and high functioning autism, or severe and mild autism, to be both irrational and offensive. It is irrational and offensive to suggest that a very high functioning individual with high intelligence and excellent communication skills, capable of sitting on IACC committees and moving from one high profile media interview to the next, has the the same, or even similar, challenges as my 15 year old Dr. Seuss reading son who does occasionally suffer serious meltdowns in public settings or when frustrated or overwhelmed generally. It is offensive to see my son's challenges hidden in a media closet while those barely affected, if they are affected at all, by autism portray autism as a difference not a disability. The media obsession with, and public perception of, high functioning autism and Asperger's success stories as being representative of autism, will not go away soon if at all. Public understanding of the challenges facing the severely autistic will probably remain limited for many years to come. The just reported Stanford/Packard autism brain imaging study though may be an important step forward for the family members and professionals who understand and face the realities of trying to help severely autistic loved ones or patients. The study involved subjects with autism excluding Asperger's and related disorders. The authors claim to have mapped a topography of the autistic brain so clearly that they have been able to identify a relationship between severity of autism symptoms and severity of brain-structure differences. As with any small initial study replication studies involving more participants will need to be done to confirm the original findings. Given the promise of this initial study I would be shocked if such confirming studies are not undertaken promptly. Perhaps if the mainstream media can actually, finally see images of differences in autism brain structures they will stop ignoring differences in severity levels of those affected by autism disorders. Perhaps. While autism diagnoses are now based entirely on clinical observations and a battery of psychiatric and educational tests, researchers have been making advances toward identifying anatomical features in the brain that would help to determine whether a person is autistic. "The new findings give a uniquely comprehensive view of brain organization in children with autism and uncover a relationship between the severity of brain-structure differences and the severity of autism symptoms," said Vinod Menon, PhD, a professor of psychiatry and behavioral sciences and of neurology and neurological sciences, who led the research. "We could discriminate between typically developing and autistic children with 92 percent accuracy on the basis of gray matter volume in the posterior cingulate cortex," said Lucina Uddin, PhD, the study's first author. Uddin is an instructor in psychiatry and behavioral sciences at Stanford. In addition, the children with the most severe communication deficits, as measured on a standard behavioral scale for diagnosing individuals with autism, had the biggest brain structure differences. Severe impairments in social behavior and repetitive behavior also showed a trend toward association with more severe brain differences. The above quotes are from the press release, posted in full below, for the Stanford/Packard MRI brain scan study published September 2 2011 in Biological Psychiatry, the official journal of the Society of Biological Psychiatry. STANFORD, Calif. - Researchers at the Stanford University School of Medicine and Lucile Packard Children's Hospital have used a novel method for analyzing brain-scan data to distinguish children with autism from typically developing children. Their discovery reveals that the gray matter in a network of brain regions known to affect social communication and self-related thoughts has a distinct organization in people with autism. The findings will be published online Sept. 2 in Biological Psychiatry. "We are getting closer to being able to use brain-imaging technology to help in the diagnosis and treatment of individuals with autism," said child psychiatrist Antonio Hardan, MD, who is the study's other senior author and an associate professor of psychiatry and behavioral sciences at Stanford. Hardan treats patients with autism at Packard Children's. Brain scans are not likely to completely replace traditional methods of autism diagnosis, which rely on behavioral assessments, Hardan added, but they may eventually aid diagnosis in toddlers. Autism occurs in about one in every 110 children. It is a disabling developmental disorder that impairs a child's language skills, social interactions and the ability to sense how one is perceived by others. The study compared MRI data from 24 autistic children aged 8 to 18 with scan data from 24 age-matched, typically developing children. The data was collected at the University of Pittsburgh. "We jumped at the results," Menon said. "Our approach allows us to examine the structure of the autistic brain in a more meaningful manner." The new findings expand scientists' basic knowledge of the core brain deficits in autism, he added. The analysis method, called "multivariate searchlight classification," divided the brain with a three-dimensional grid, then examined one cube of the brain at a time, and identified regions in which the pattern of gray matter volume could be used to discriminate between children with autism and typically developing children. Instead of comparing the sizes of individual brain structures, as prior studies have done, the new analysis generated something akin to a topographical map of the entire brain. The scientists essentially mapped the autistic brain's distinct cliffs and valleys, uncovering subtle differences in the physical organization of the gray matter. Such analysis may be a more useful approach than previous tacks. Earlier studies, for instance, suggested that people with autism may have larger brains in toddlerhood or have a large defect in one brain structure. This study took a different approach and discovered several autism-associated differences in the Default Mode Network, a set of brain structures important for social communication and self-related thoughts. Specific structures that differed included the posterior cingulate cortex, the medial prefrontal cortex and the medial temporal lobes. These findings align well with recent theoretical and functional MRI studies of the autistic brain, which also point to differences in the Default Mode Network, Menon said. Once Menon and his team had found where the differences in autistic brains were located, they were able to use their analysis to classify whether individual children in the study had autism. They used a subset of their data to "train" the mathematical algorithm, then ran the remaining brain scans through the algorithm to classify the children. Menon and his team plan to repeat the study in younger children and to extend it to larger groups of subjects. If the results are upheld, the new method offers the possibility of several applications in autism diagnosis and treatment. For instance, brain scans might eventually help distinguish autism from other behavioral disorders such as attention deficit hyperactivity disorder, or might predict whether high-risk children, such as those with autistic siblings, will go on to develop autism themselves. Brain scanning might also be able to predict what type of deficits will occur in a child with a new autism diagnosis, allowing clinicians to target their treatments to a child's predicted deficits. "Scans would likely be used alongside clinical expertise, giving that extra hint from the brain data," Uddin said. When such integrated assessments are possible, the researchers hope they will allow clinicians to build detailed profiles of each patient. "We hope we'll eventually be able to tell parents, 'Your child will probably respond to this treatment, or your child is unlikely to respond to that treatment,'" Hardan said. "In my mind, that's the future." Other Stanford scientists who collaborated on the project were research scientist Srikanth Ryali, PhD; postdoctoral scholar Tianwen Chen, PhD; and research assistants Christina Young and Amirah Khouzam. Nancy Minshew, MD, from the University of Pittsburgh, also contributed to the project. Celebrating its 20th anniversary in 2011, Lucile Packard Children's Hospital is annually ranked as one of the nation's best pediatric hospitals by U.S. News & World Report, and is the only San Francisco Bay Area children's hospital with programs ranked in the U.S. News Top Ten. The 311-bed hospital is devoted to the care of children and expectant mothers, and provides pediatric and obstetric medical and surgical services in association with the Stanford University School of Medicine. Packard Children's offers patients locally, regionally and nationally a full range of health-care programs and services, from preventive and routine care to the diagnosis and treatment of serious illness and injury. For more information, visit www.lpch.org.